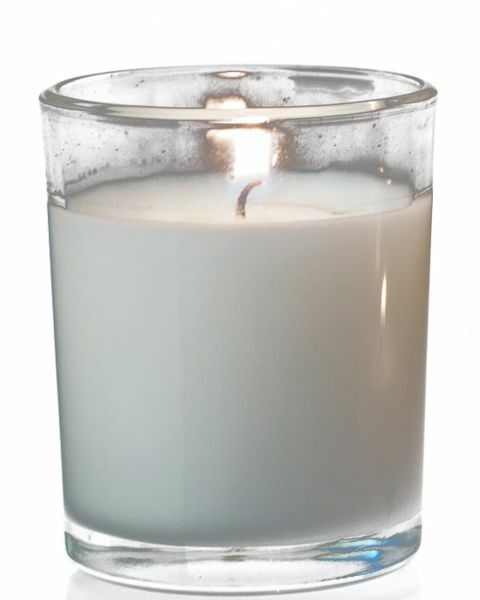 Our Set of 12 Real Wax Votive Candles have a burn time of 12 - 13 hours and each comes in a clear glass cup, making them very practical and handy (just the kind of party and event Decor that everyone needs)! 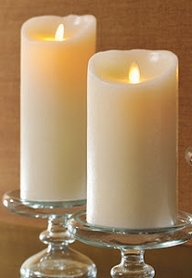 The white candles are unscented and each glass measures 2" wide by 2 1/2" tall. 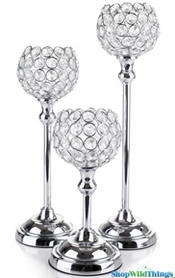 For weddings, events and all around the house, these ready to use candles are an ideal accent piece! Nothing quite compares to elegant candlelight and the convenience of the glass cups combined with a long burn time, allow you to have a warm glow in a multitude of spots. 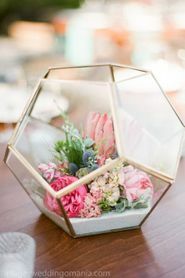 Use around the house on countertops and tables or create a romantic and stylish table setting by spreading these down the center of a table atop rose petals. 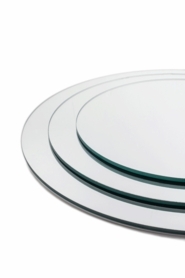 For a look that's a bit more upscale, set these on a Crystal Tiered Centerpiece Riser to instantly highlight any area and centerpiece mirrors or Mirror Topped Stands are also a great companion. Also use inside hanging glass terrariums and hang from tree branches to create an awesome outdoor setting! With very little effort, these poured glass votives will help you design impressive displays that are sure to last well through the night!